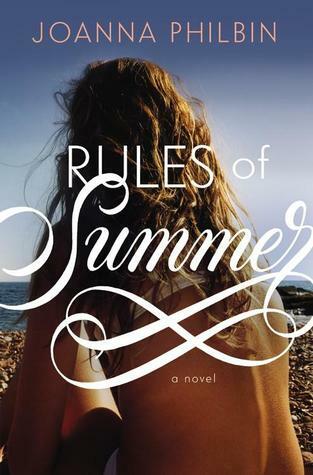 PSA: Drop everything, this is my new favorite summer themed novel! If you have been a follower of mine in the past you know I am a sucker for 2 kinds of books. First, a really good YA thriller. 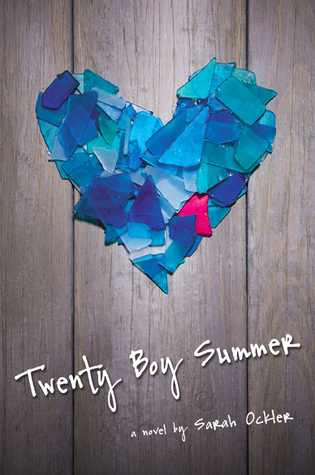 Second, any YA summer themed novel. Oh my goodness, Small Town Hearts checked everything off my list for a book I love. And can we just give credit to Lillie Vale. This is her first novel and it was absolutely incredible. Babe is a barista in a small town in Maine where the locals all know each other like most small towns. She has a rule to never fall for a summer boy. They never stay past summer so she doesn’t see a reason to allow herself to get wrapped up in one. However, Levi may question every reason she’s ever had to create this rule. Small Town Hearts is packed with so much emotions, but in such a good way. Friendships are tested, old relationships are brought back up, and new relationships and friendships bloom. A huge win is also the representation of a bisexual lead character as well as other characters that are dealing with their sexuality. 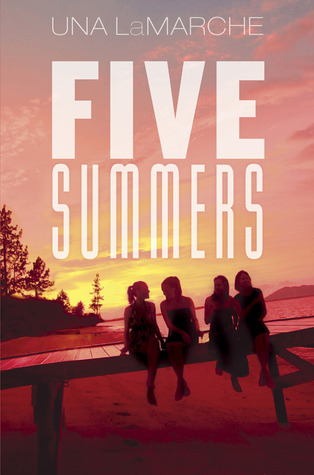 I loved the summer love storyline and was biting my fingers towards the end, so nervous how the story was going to end. The main character Babe, I absolutely adored. She had moments of weakness and almost self destruction in the beginning but as the book went on she became a strong character and stood up for herself, what she wants and how she feels and honestly that is something I love to see in a lead female character. She has big goals in life, she is incredibly independent and also makes it clear she is okay being single. Plus I can’t leave out that she is an amazing baker who will have your mouth watering when she talks about her bakes. Levi was the perfect boy who was perfect for Babe. I really think his character helped hers evolve even more. It was also refreshing to have a male character who didn’t care about showing his emotions and was also proud to show them. It was heartwarming to see their connection grow throughout the story and where it all ended for them. The other more minor characters were easily likable or dislikable. They all had their parts in Babe’s life and the story being told and although minor characters really added a lot to it. A large focus on the storyline was letting go of the past and making a new future for yourself. 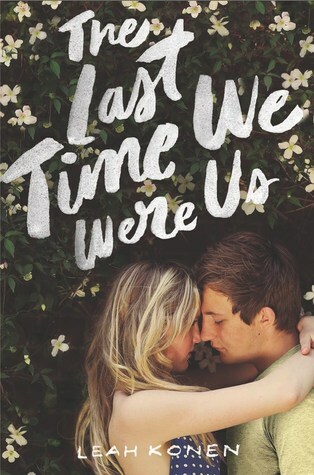 At times it was frustrating some of the situations Babe was going through or even putting herself through but this is a great storyline for so many teens and young adults as it is something we all go through to some extent in life. As for the location, UGH. I wish Oar’s Rest was a real town. It had so much appeal to it as a small coastal town without the busyness you imagine at so many beach towns in the summer. It had so much history to it too and so many town events which everyone comes together to support. Lillie Vale paints the perfect picture of the town and you’ll be wishing you could visit Oar’s Rest yourself. 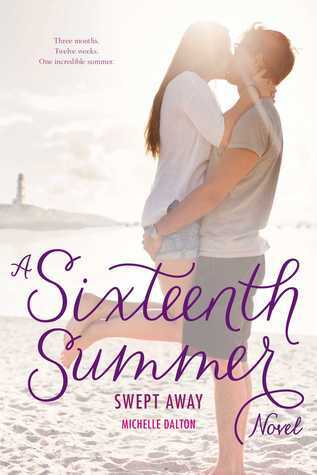 If you love to pack a good, light read in your summer bag, Small Town Hearts is perfect for that (if you can wait that long lol). It will leave you feeling warm and fuzzy inside and while the book was adorable, it also focused on some important social issues so many teens/young adults face today. You will fly through this book in no time and left wanting more. Or if you’re like me, you’ll be left wanting more and wanting some summer weather already (for real I am over temperatures not getting out of the 40s). I’d LOVE to see a sequel to Small Town Hearts and see where the characters are the following summer and where all their friendships/relationships stand. You Owe Me A Murder caught my attention from the first second I saw it. 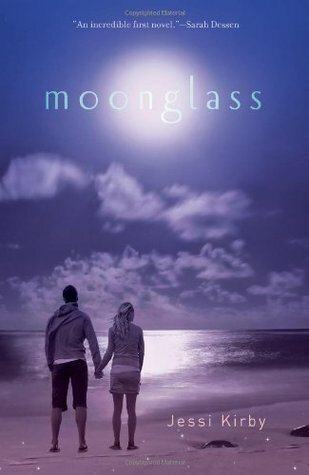 The title itself giving away that it would be a suspenseful story along with the author Eileen Cook, I knew this was a book I not only had to read but had to read ASAP. It’s safe to say I was not the least bit disappointed. I’ve read several other young adult novels by Eileen Cook and loved each of them, but her other mystery/suspenseful novel, With Malice, may have been my favorite until I read this one. Kim is on a class trip to London where her recent ex-boyfriend and his new girlfriend also happen to be. Kim meets a girl from London, Nicki, who she jokes around making a list of reasons why her ex deserves to die. Nicki says that she could kill Connor in exchange for Kim killing someone for her. Kim of course assumes this is a joke and along with the alcohol in her system agrees. It wasn’t too shocking when her ex dies in a way that no one suspects was an accident and from there the rabbit hole began. Every time I thought I knew what was going to happen and was expecting something to play out a certain way, everything completely switched up with new information added to the storyline. I loved not knowing what to expect next and was shocked when everything came to light and the pieces came together at the end of the book. I never would have guessed or seen the ending coming and to me that is something so crucial in a mystery novel as I want to be surprised, shocked and overall just left with my mouth hanging open asking myself, “What? !’ when I finish reading that last page. You Owe Me A Murder delivered those reactions from start to finish though and it’s no wonder why it only took me 3 days to finish. I honestly loved all the characters. While Kim wasn’t necessarily related for me, that didn’t take anything away from her or the book. She was smart and stuck to what she believed in regardless of the situations she was continuously put in. Both Nicki and Connor although he didn’t last long, were the perfect enemies. You felt the anger and dislike towards them when they showed their true characters. I loved Alex and the adorable romance that was mixed in with this mystery. It added some moments where I could relate to the characters and enjoyed seeing how it panned out. Goodreads says You Owe Me A Murder is perfect for fans of One of Us Is Lying, and I do believe that is spot on. It delivers the twists and turns that we all love in a mystery novel and has moments when you have to stop for a second because you can’t believe everything you thought was right is now completely wrong and the mystery just dove even deeper. It’s such a great mystery and easy to get sucked in and not stop reading until you’re done. 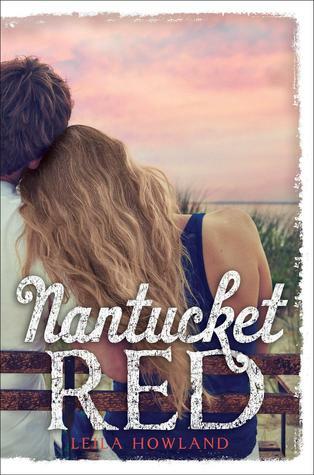 So if you’re a fan of Eileen Cook, One of Us Is Lying, or young adult mysteries, this is definitely a book you should add to your To-Read shelf. A.J. Grainger lives in London, England, where she works as a children’s books editor. She loves writing and editing because it means she gets to talk about books all day. She is the author of Captive and The Sisterhood. Visit her at AJGrainger.com and follow her on Twitter at @AJGrainger. I was beyond excited when I saw I was approved for The Sisterhood on NetGalley, my first advanced copy since I have returned to blogging. The cover on the book immediately captured my interest as it looked both mysterious and ominous. The summary of the book only intrigued me even more as I love a good thriller and mystery, and after reading the description knew this would be a book I thoroughly enjoyed reading. I was not wrong with that judgment. Lil is 17 when her older sister Mella goes missing. It’s only been a few months since Mella left but Lil is always hopeful of her return or being found. The love Lil has for her sister Mella is shown time and time again throughout the book. She refuses to believe the worst even when everyone else around her seems to have given up hope and partially blames herself for Mella’s disappearance. The reader gets to see the two of them together through flashbacks of Lil’s leading up to the disappearance and Lil’s conversations she has with “missing Mella” in her head. It shows you how much Lil appreciated her sister and the regrets she has now that Mella is gone and not with her daily. When Lil first found Alice/Seven, I had no idea what to expect. In the beginning when she talked about where she came from and the Sisterhood, she was very short and it left me wanting to know more. When she began to open up about the Sisterhood, I got really excited. I loved the mystery that surrounded the Sisterhood and the Light throughout the book and how you didn’t find out the full horror of the cult until towards the end. The last few chapters had my heart racing and I had to slow myself down several times to take my time reading instead of rushing through to find out what happens. I have to admit in the beginning, it took me a bit to really get into the storyline with how slow it took to get an idea of what the Sisterhood was, but by the end of the book it had definitely all paid off. The storyline was something fresh, unique and I hadn’t read anything with a similar plot before. A majority characters were honestly all enjoyable, relatable and they all had a specific part to play in the story coming together. Of course the ones you were supposed to not like were easily dislikable and fueled you up. There are cute romances, friendships and family relationships side stories throughout the book as well. I would recommend The Sisterhood to anyone who is looking for something different, especially if you are into a good page turner. There were a couple of books in between these on my list but are only shown as recent as I had previously, accidentally added them to my ‘read’ list and only recently caught on and moved them to the correct list, so therefore they were not included in this post. Wow, it feels surreal to be back on here and posting my first Top Ten Tuesday post since 2016. My Goodread’s ‘To Read’ and ‘Read’ lists are both a few hundred books long and I always really enjoyed these weekly posts as it allowed me to look at books that pertained to a certain topic in a smaller amount. So since my last post, Top Ten Tuesday topics have moved and their current home is That Artsy Reader Girl. Today’s topic is going to be a tricky one as I really didn’t get too much reading done in 2018, so hopefully I can narrow it down to only ten books (in no specific order). Each title will be linked to it’s Goodreads page and an asterisk is for books that are on my ‘to read’ list that I own. A few of these are included in my A-Z challenge I am trying to complete this year and as you can see I own half of them as well which should make reading them in 2019 without a doubt possible. Halloween related freebie: ten scary books, favorite horror novels, non-scary books to get you in the Halloween/fall mood, bookish halloween costumes, scariest covers), scary books on my TBR, etc. If you’re looking for more scary/thrillers leave me a comment and I can suggest some more as I had about 20 and had to cut the list in half. There are obviously MANY more I could have included in this list. These are just some of my favorites that came to mind right away. 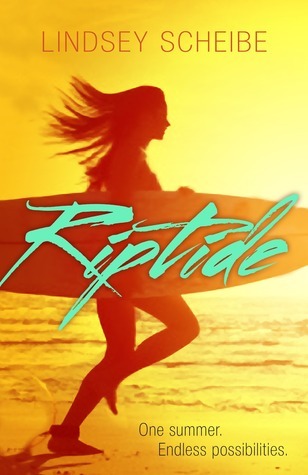 I love love LOVE summer themed books so my Goodreads ‘Read’ list is filled with them. 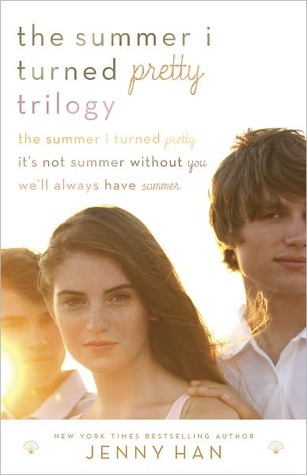 First let me start off by saying this is a summer based book and if you don’t know by now, I am obsessed with summer themed books. Leah Konen’s other YA book, The After Girls, has also been on my TBR list (as well as my bookshelf) for a while now and I definitely need to start reading it. The Last Time We Were Us was so, so good. It had me feeling so many mixed emotions throughout the book and had me racing through the pages at the end to see what had happened. The romance in The Last Time We Were Us was insanely intense. I had no idea what was going to happen and definitely wasn’t expecting the ending to play out like it had. I can’t say I was shocked, but I also feel like some of the characters got what they had been asking for throughout the book. The book is also packed full of drama between multiple characters which kept it entertaining as well as kept me sucked into the book turning page after page. The book itself was longer than most I’ve read lately (almost 400 pages) but I was hooked and breezed through it. I really liked the characters in The Last Time We Were Us. I have to admit though my favorite character was Jason Sullivan and I can’t really say why he was without giving anything away. I had mixed feelings about the main character Liz. There were times when I liked her and was rooting for her and other times when I wish I could have reached in the pages and smacked her. Innis Taylor was quite the character, once again can’t say much about him without giving things away. Liz’s friend MacKenzie was alright. She had a few good friend moments, but I felt like a majority of the time she was immature and over reacted to certain situations. 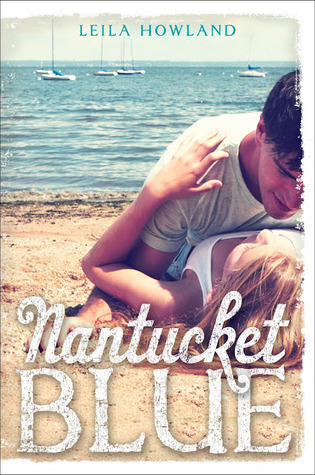 Overall if you’re into young adult contemporary and/or romance I definitely think you’d enjoy this book. It’s one of the better books I have read in 2016, it’s in my top 10 as of now. I could easily see this as a book I’d reread again in the future. Alexandra Sirowy’s other young adult mystery, The Creeping, came out in August 2015. It was original and kept me turning page after page to find out the shocking ending. 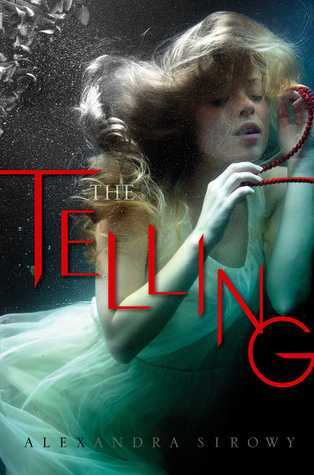 If you haven’t read The Creeping yet and you’re into young adult mysteries and thrillers, I’d definitely recommend you read The Creeping and adding The Telling to your TBR list. I’ve read Another Little Piece by Kate Karyus Quinn last fall and her other novel, (Don’t You) Forget About Me, has been on my TBR list for quite some time now. When I saw she had a new young adult book coming out, I jumped at the chance to read an advanced copy of it and I am SO happy I did. I raced through this book in about 2 days and enjoyed every single page. The characters were awesome, the whole storyline was amazing and the author did a great job adding not only comedy but some dark moments as well. Kate Karyus Quinn also made a reference to Another Little Piece (and she may have made one to (Don’t You) Forget About Me as well but I haven’t read it yet). The books themselves aren’t sequels or a series but seeing one tie into another was pretty cool and original. “May all your wishes come true, or at least just this one.” I’m not going to lie, this line will haunt me if I ever hear someone say it out loud after reading this book. Lennie heard her uncles say this many times when someone would come through to buy their moonshine and would make a wish and toast the first sip. Of course she never realized that this was much more than just a toast, so when she sneaks out several jars of her uncles’ moonshine to take to a party, she causes so much havoc. Some characters, such as W2 and Zinkowski, have hilarious wishes that some true, others are far more serious and a few are innocent. Watching each wish unfold was entertaining and seeing the outcomes of their wishes made you constantly wonder what would happen next and if Lennie would be able to find a way to make everything go back to the way it was before the party. All of the main characters in the book were enjoyable, even the bad ones. They all brought something to the story and without even one of them there would have been something missing. Lennie may not be the smartest character, but in her defense she didn’t have any idea of her wish granting abilities until after the damage was done. She was genuinely caring though and was trying to fulfill her dead best friend’s wish of going to a crazy party. Lennie’s dad was evil in every sort of way, her mother was mostly absent but played a huge part in the family legacy, and Lennie’s uncles honestly seemed like the cool uncles you’d want to hang around at a family party. They were tough on Lennie but only wanted the best for her and to protect her. Lennie’s friend Dylan and Dylan’s twin Smith proved to be two key characters. Although we don’t get to know Dylan before she is murdered, we get an interested undead version of her thanks to Lennie’s wish. Smith on the other hand was a character I thought I was going to despise from the beginning but grew to love as the book went on. Last was Lennie’s friend Larry, who you ended up feeling sorry for a majority of the time. It was clear he had a thing for Lennie and would do whatever would please her. He was also such a goody two shoes and momma’s boy that you felt bad he got stuck in such a crappy situation. Overall, I really enjoyed Down With the Shine, enough to want to purchase my own copy to reread once it is published. I’m also making a mental note now to also purchase myself a copy of her other book, (Don’t You) Forget About Me. I would love to see Down With the Shine turned into a movie, definitely think it would be awesome to see on the big screen and I cannot wait to see what book she writes next.